How To Unroot Samsung Galaxy S2 / S II T989 T-Mobile! [Windows] ~ AndroidRootz.com | Source for Android Rooting, ROMS, Tricks and More! Need to send back your phone to T-Mobile , but you want to send it back without them knowing that you rooted your phone so that you don't void your warranty? 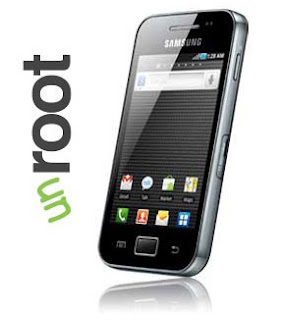 This tutorial will help show you how to completely unroot your Samsung Galaxy S2 phone so that T-Mobile will never find out. This whole process is very safe to do and will guarantee that T-Mobile will not find out that you rooted your phone as long as you follow the step by step directions. This will delete EVERYTHING on your internal memory. Not external SD card. 2. We will now enter "Download Mode". Hold down the volume up, volume down, and power button all at the same time. When you feel vibration let go of the power button, but keep holding on to the volume up and down button. 3. When you see a yellow warning triangle you can let go of all the buttons and press the volume up button to continue into "Download Mode"